LPG and natural gas are both flammable gases, but both are a safe and efficient source of energy when used properly. Natural gas is predominately methane and is lighter than air, in the event of an unconfined leak to atmosphere the gas can be expected to rise and dissipate. LPG is a combination of propane and butane. It is heavier than air. 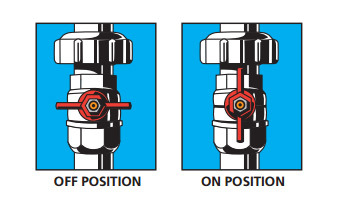 In the event of an unconfined leak, the gas can be expected to stay low to the ground with the potential to travel and accumulate in below ground cavities such as pits and drains. The gas will eventually vaporise and dissipate but this will occur at a slower rate than with natural gas. Natural gas and LPG are naturally colourless and odourless however both have an odourant added called ethyl mercaptan to assist in detecting leaks. In the event of a leak of either gas, a rotten cabbage smell can be detected. should be reported and addressed. Kleenheat encourages you to ensure all members of your household are aware of what to do in the event of a gas leak and the safe use of gas. Natural Gas customers – call 13 13 52. LPG cylinders, tanks and reticulated gas customers – call 1800 093 336. Carbon Monoxide is an odourless, tasteless, non-visible gas that can be formed when fuels are burned without a sufficient supply of air. It can be produced when appliances are not properly installed, maintained or used; when vent pipes become clogged with debris, have gaps, leaks, spaces and rust-through spots; and when appliances are improperly vented. Carbon Monoxide combines with haemoglobin in blood and is pumped around the body. This prevents the blood from carrying oxygen and starves the body tissues. Even small concentrations of carbon monoxide can be lethal. Lips, nose, ears and cheeks becoming bright red. The best prevention for Carbon Monoxide problems is to have appliances installed properly and periodically inspected and maintained. All facial features turning blue (the person may be unconscious at this stage). Call an ambulance immediately. Move the person to a gas-free area. If you are qualified to do so, begin resuscitation of the person, being careful not to inhale exhausted air from the patient. otherwise moist or green lawn. If you are in any doubt, contact 1800 093 336.